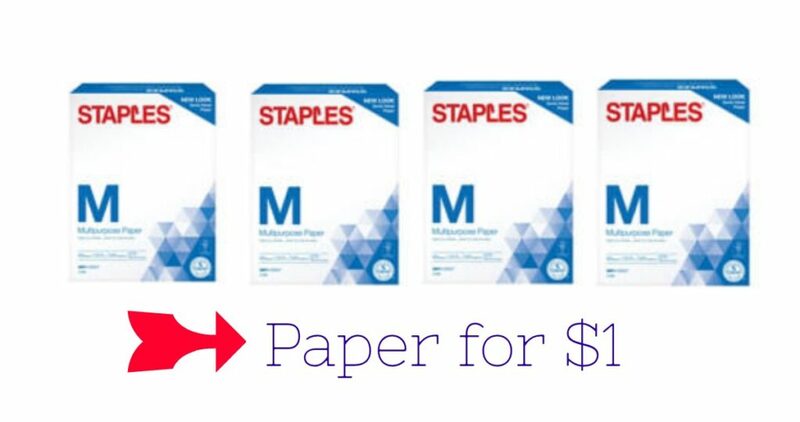 If you need some more paper to print those coupons, don’t miss out on this deal at Staples to get $1 multipurpose paper after a coupon and Easy Rebate. The Easy Rebate is sent in the form of a pre-paid Visa card so allow up to 6 weeks for the card rebate to be mailed to you. It means that you can use it anywhere though, not just Staples!